Reading aloud is not a new pastime for our family. When the children were younger, we read aloud most days of the week. However, as the kids have grown, car trips seem to be the time when we read aloud or listen to a novel together. 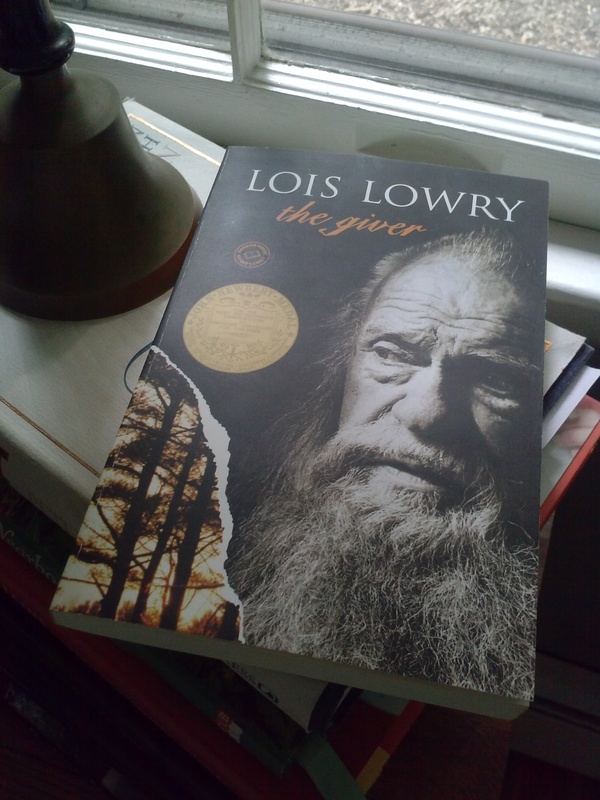 Knowing we would spend the majority of two days in the car, I grabbed The Giver by Lois Lowry. Before this trip, I had never read The Giver even though former students told me how much they liked the story. I’m a fan of Lois Lowry’s Number the Stars, a gold Newberry winner as is The Giver (impressive! ), and knowing the movie version of the book is expected in the near future it seemed like the perfect read-aloud. I was right. Before you say, “Lowry is copying The Hunger Games or Divergent,” The Giver was published in 1993, long before some of the popular dystopian fiction were even written. I had tried unsuccessfully to persuade Anna to read The Giver before, but it wasn’t until we read the novel aloud that she found herself swept along by the story. As an aside, if you have a reluctant reader in your house, reading aloud is a good way to draw a person into the story. Left to our own whims, we often judge a book by its cover or its subject matter and it isn’t until we hear the story read that we find ourselves caught up in the unfolding action. The Giver does not disappoint. The power of memory is a central theme in the story, along with issues of sameness and the role of the family. As a teacher, I couldn’t help but think of all the rich discussions a class could have while reading this book. Of course, these discussions aren’t limited to a classroom. They can happen in a family or a book club too. The more young adult fiction I read, the more I love it. Good YAL isn’t limited to teenagers. As C.S. Lewis and Madeleine L’Engle believed, there is no such thing as “children’s books.” If a book points to the good, the true, and the beautiful, then a 10-year-old or an 80-year-old will enjoy it. As you plan your next road trip, let me encourage you to find a book to read aloud. Believe me, the hours will fly by! And post your recommendations of good books for car trips so we can share some titles together.